Located in south-east Turkey, the 11,000-year-old Göbekli Tepe is considered to be the world’s oldest temple, greatly surpassing England’s Stonehenge, and the Egyptian pyramids. The ancient site, awarded Unesco World Heritage status in July 2018, predates pottery, writing, and the wheel, leading archaeologists such as its discoverer Klaus Schmidt to ask if Göbekli Tepe may, in fact, be not only the world’s first piece of architecture but a crucial catalyst for the onset of settled societies. 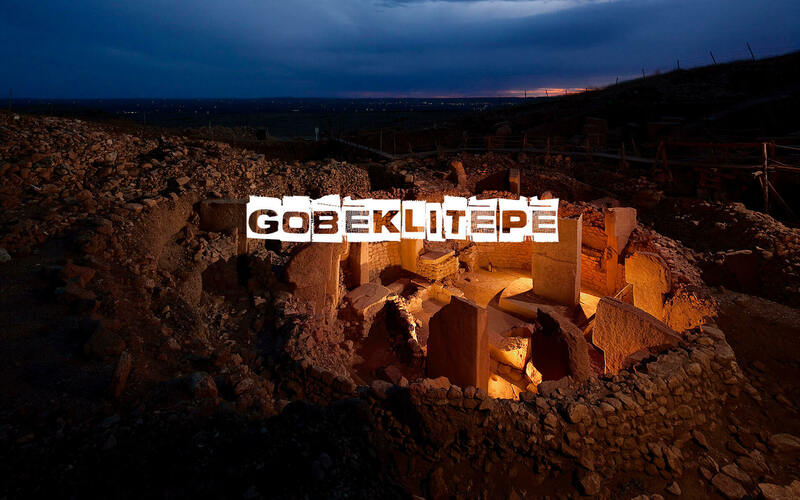 Spread across eight hectares near the city of Sanliurfa, the Göbekli Tepe is an artificial mound hosting a series of sunken circular structures adorned with limestone carvings, believed to have been occupied for thousands of years before their abandonment. The 11,000-year-old structure was first encountered in the modern age by a team of anthropologists from the University of Chicago and Istanbul University in the 1960s. However, its significance was only truly revealed by German archaeologist Klaus Schmidt in 1994. Years of excavations slowly revealed T-shaped monolithic limestone columns arranged in circles, with larger inscribed columns at its center reaching up to five meters in height. Once the stone rings were carved, placed upright and finished, prehistoric builders covered them with dirt before placing another ring nearby or on top. Over time, this repeated action created a layered hilltop place of worship. The intricate though unexplained carvings of abstract humans and animals on the stone pillars are of particular fascination, given their creation 6000 years before the invention of writing. While Schmidt is certain that Göbekli Tepe is a religious structure, a definitive theory of what its function was, who it was dedicated to, or who is buried within, remains out of reach for now. The intrigue of Göbekli Tepe revolves less around its function, and more around its potential to invert our understanding of how civilization developed. Experts had long argued that the time, planning, and resources needed to construct such structures would only be possible in a settled, agrarian society. The discovery of Göbekli Tepe leads Schmidt to theorize the opposite – that the desire to construct such intricate architectural works may have been the catalyst for the development of complex societies. Schmidt argues that Göbekli Tepe would have required hundreds of hands, all requiring housing and food. While the discovery of animal bones at the site suggest that hunter-gathering was still a common practice at the time, this method alone could not have sustained the labor force required to construct such an elaborate temple. Schmidt believes that the builders of Göbekli Tepe were on the verge of a major change in how people lived, with evidence of hunter-gathering combining with the raw materials of basic farming, such as wild sheep and grains with domestic potential. The discovery of domesticated animals and grain in a nearby prehistoric village believed to be 500 years newer would further suggests that Göbekli Tepe’s construction coincided with a crucial revolutionary move humans made from nomadic hunter-gathering to the settled, agrarian societies which would ultimately become the genesis for urban settlements we know today.